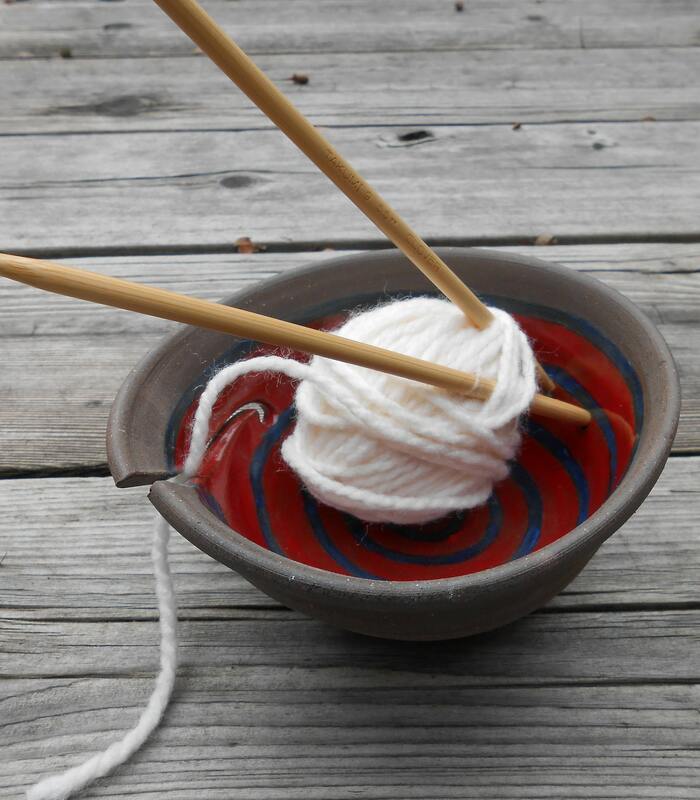 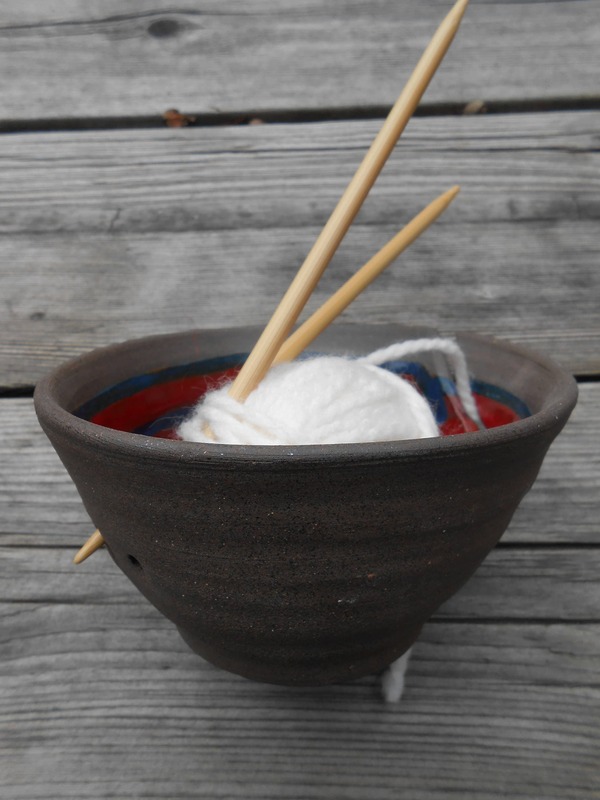 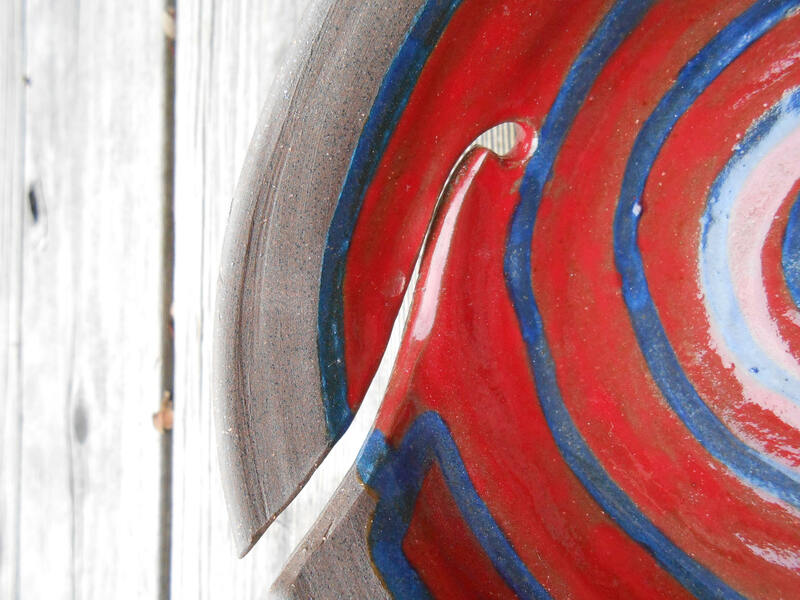 This wheel thrown yarn bowl is perfect to hold that runaway ball! 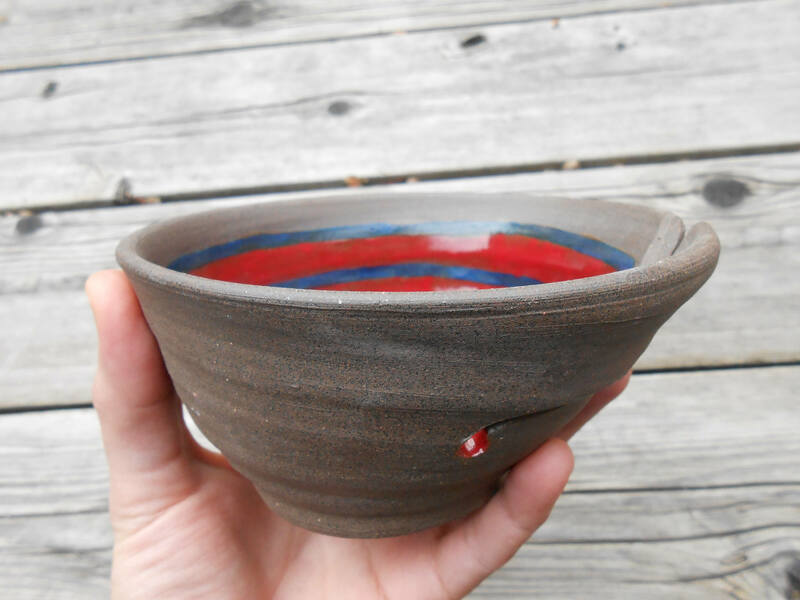 Not perfectly round, it's glazed on the interior with a bright crimson and blue in a swirl, the rest of the bowl is raw walnut brown clay. 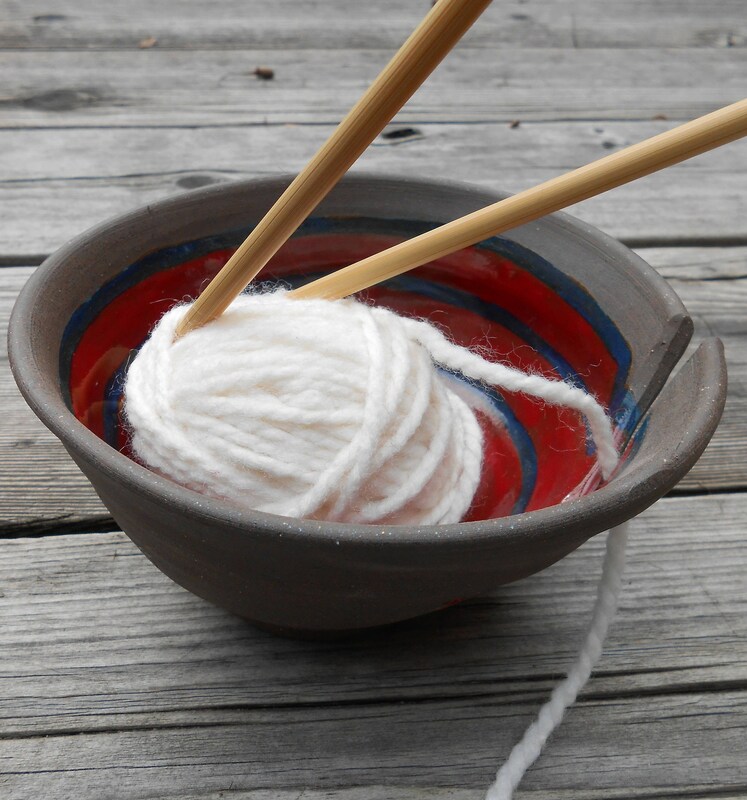 Wherever your yarn would touch, it's a smooth, glazed finish. 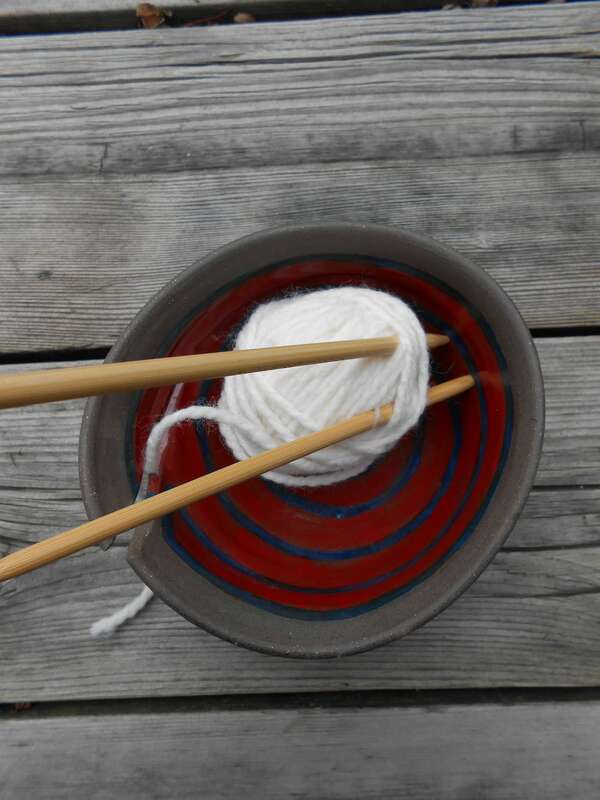 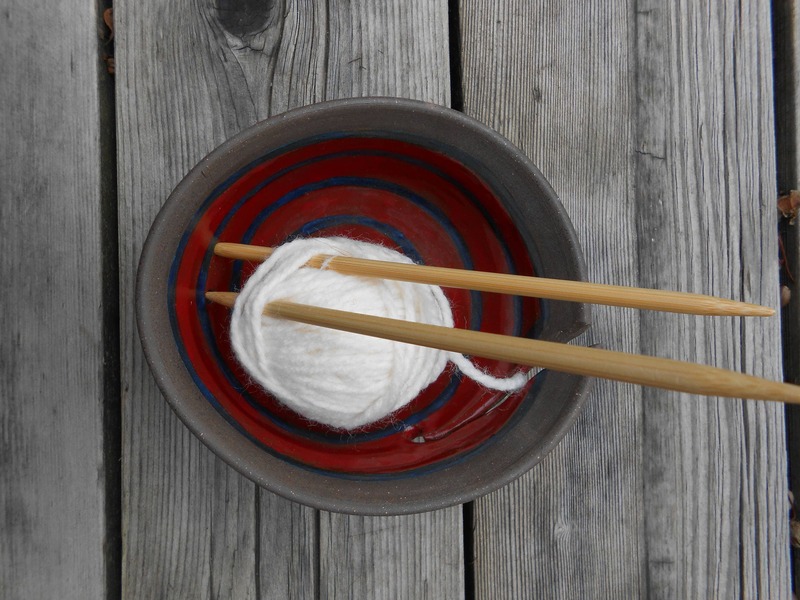 Round cut outs to hold your knitting needles and a delicate slice to thread your yarn through.